Dress up the look of your living room space with this decorative sofa. This piece features a traditional look with some cottage elegance added in for effect. The seat cushions and back pillows are reversible. Details include turned feet, accent pillows and nail head trim along the sofa's base. 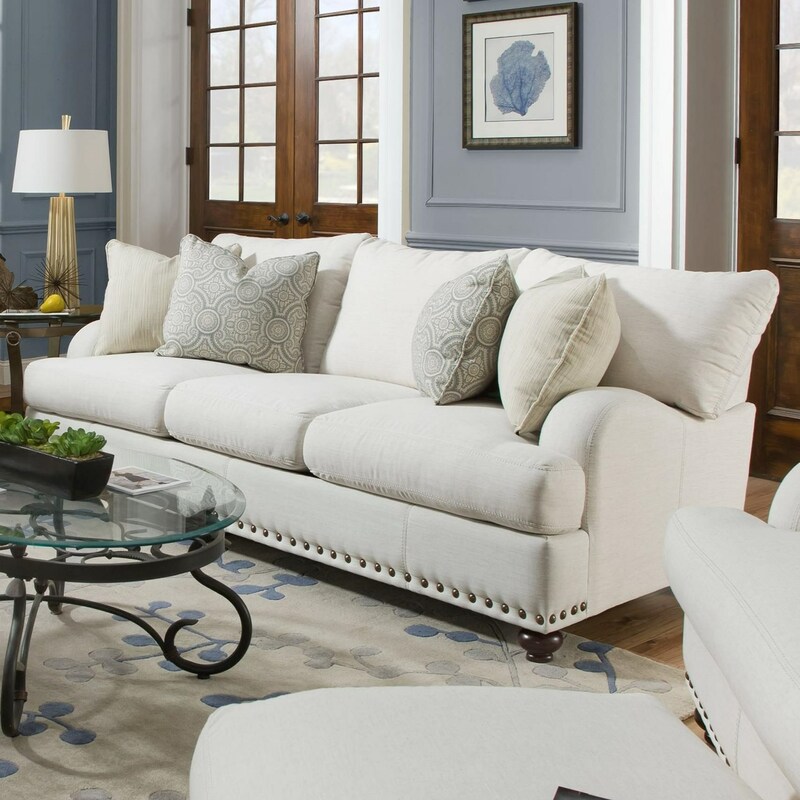 The Brinton Sofa with Reversible Cushions by Franklin at Miskelly Furniture in the Jackson, Pearl, Madison, Ridgeland, Flowood Mississippi area. Product availability may vary. Contact us for the most current availability on this product. The Brinton collection is a great option if you are looking for Relaxed Vintage Traditional Cottage furniture in the Jackson, Pearl, Madison, Ridgeland, Flowood Mississippi area.